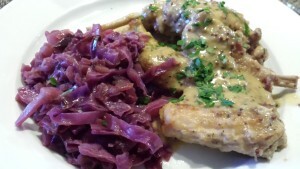 Braised Red Cabbage. It’s a colorful sweet and sour addition to a meaty meal. 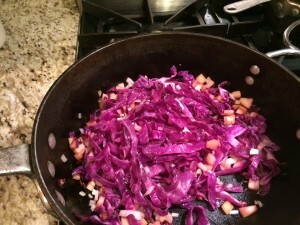 Red or purple cabbage is shredded, sauteed in olive oil and butter with diced Granny Smith apple and chopped shallot, reduced with some apple cider vinegar, sugar and chicken stock. 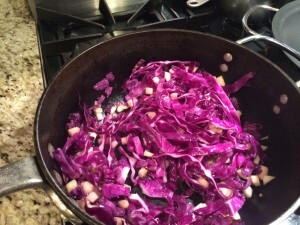 Mostly served as a Fall or Winter side dish, Braised Red Cabbage is also tasty served chilled in the Summertime. 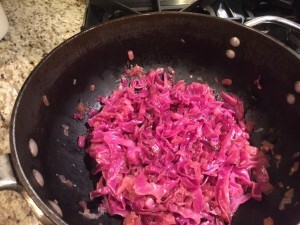 This sweet and sour Braised Red Cabbage is my husband’s recipe. 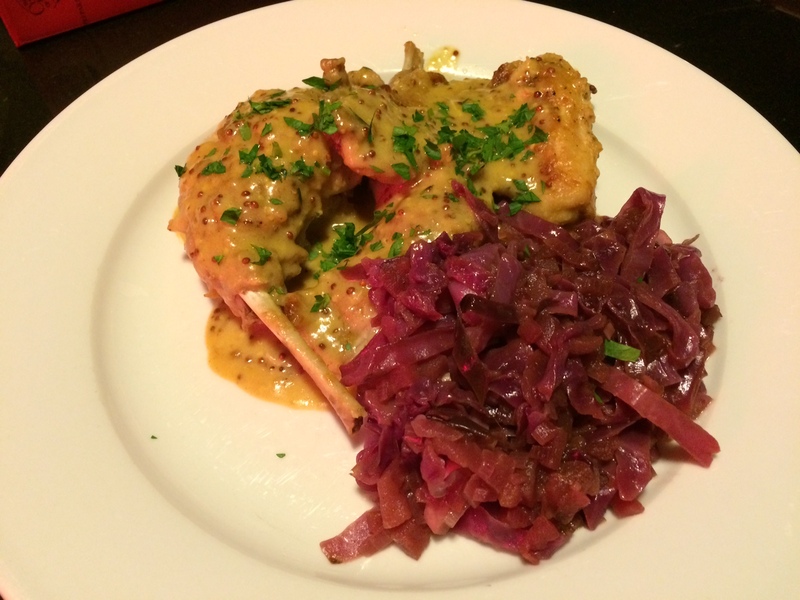 From time to time, I like to feature his recipes on A Food Lover’s Delight. He’s a great cook on his own, and far better with the “fancy sauces and sides” than I am. 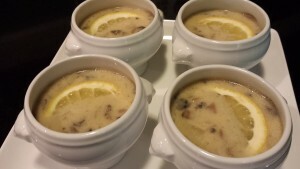 His Caesar Salad Dressing and Chicken Liver Pate have quite a following. 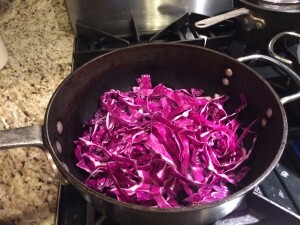 To make this dish, you’ll need some shredded red or purple cabbage. 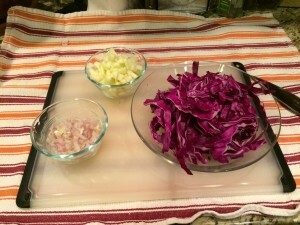 Depending on where you are from, it’s either called red or purple cabbage. You could use regular green cabbage but the color won’t be as gorgeous. Also, diced tart Granny Smith apple and savory shallots are key ingredients. Sweat the cabbage in some olive oil and melted butter. Add the diced apple and sweat some more. 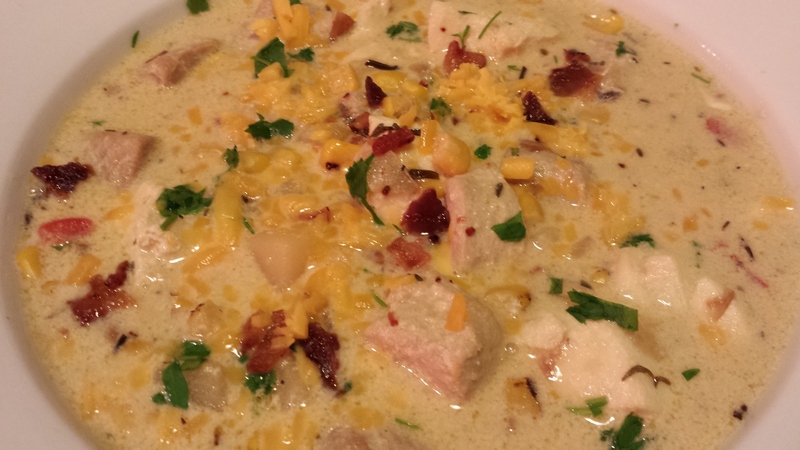 Add the shallots and let the dish cook a bit more until the ingredients have softened nicely. Add some apple cider vinegar, sugar, and chicken stock. 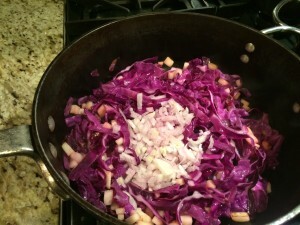 Reduce the cabbage mixture until most of the liquid has evaporated. And serve! 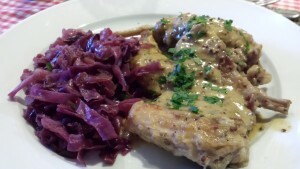 My husband loves to serve this Braised Red Cabbage with meaty dishes such as rabbit, chicken or pork. 1. Melt the oil and butter in a saute pan over medium low heat. 2. Sweat the shredded cabbage in the oil and butter. Let the cabbage reduce a bit and get soft. 3. Add the diced apple and cook until the apples are a bit soft. 4. Add the shallots and cook a few minutes longer until the shallots soften. 5. Add the apple cider vinegar, sugar and chicken stock. 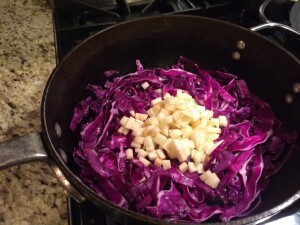 Let reduce until the juices have mostly evaporated and the cabbage mixture has thickened slightly. Serves 4 as a side dish. 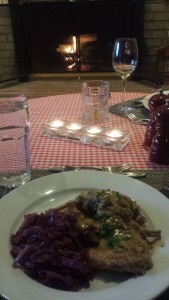 Offer with pork, chicken, or rabbit dishes. Use as a bed for a piece of rich fish. Serve cold as a picnic side dish. Variations: Omit the butter for a vegan dish. 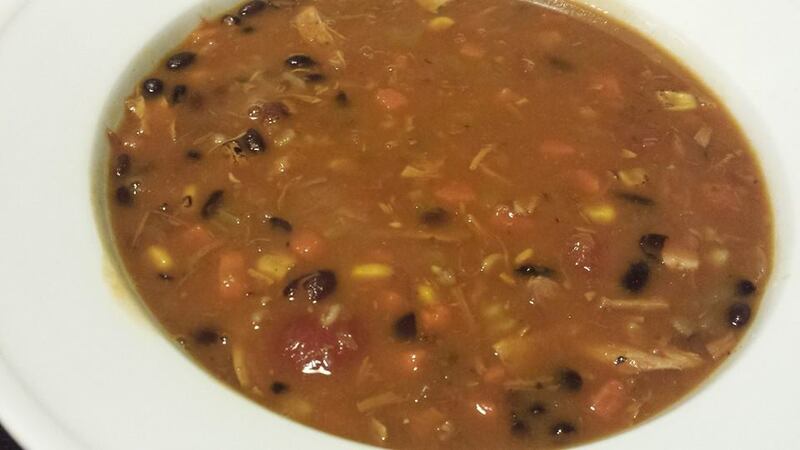 Make a large batch and freeze it in portions. Add a bit of honey for a sweeter taste. Add larger slices or chunks of apple or try some pear for a different texture.